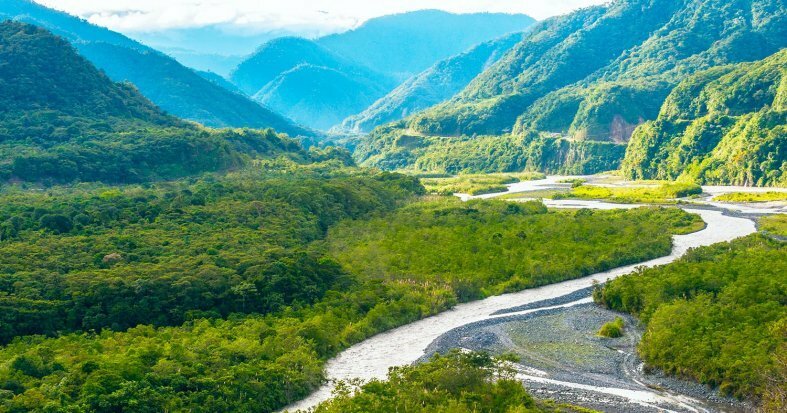 Travel to Ecuador and discover Quito, the oldest capital in South America, the waterfalls of Banos, the volcanos of Lasso, and the charm of Guayaquil. In the Amazon explore the wildlife in Tena. 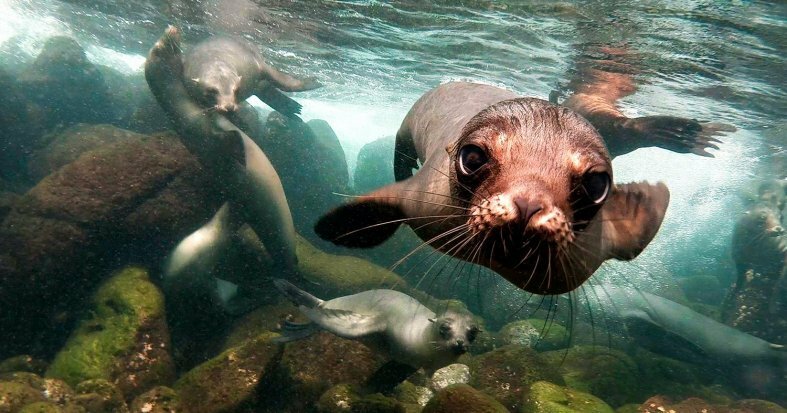 Stay on the Galapagos Islands and enjoy its spectacular fauna and flora on the island of Santa Cruz. 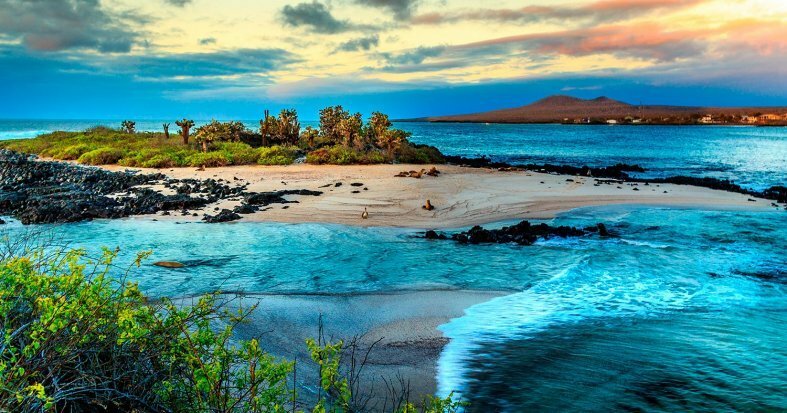 Relax on the beaches and look out for rare blue-footed boobies and giant Galapagos tortoises. International flights: U.S. - Quito, Guayaquil - U.S.
14 Breakfasts, 2 Lunches & 2 Dinners. * Details of your internal flights will be detailed in your travel documentation, in your Customer Area, 72h before your departure date. Quito: Hotel Quito, Casa Aliso, Anahi or Rio Amazonas. Tena: Itamandi, Casa del Suizo or Yakuma Lodge. Baños: Hotel Sangay, La Floresta or Alisamay. Lasso:Hacienda La Cienega, Hotel Cotopaxi Pungo or Hacienda Santa Ana. Santa Cruz: Fiesta, Mainao, Silberstein, Villa Laguna or Albatross. We strongly recommend you consult your doctor regarding the possible effects of altitude sickness before you travel. Transit control card (TCC)* (US $20) and entrance to the Galapagos National Park * (US $100). * More information can be found in Offer Conditions. * If you arrive in the early hours you will have access to your room and therefore an extra nights accommodation. 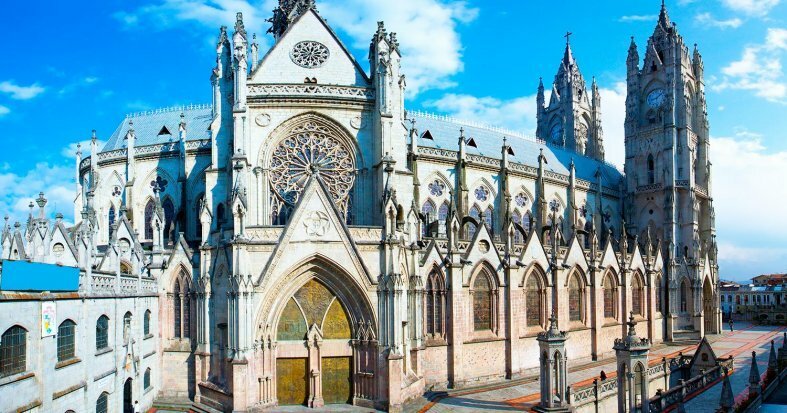 Arrive in Quito, the capital of Ecuador and a city famed for its high vantage point in the Andean mountains, and its ancient Incan significance. Transfer to your hotel and spend the day at your leisure. Overnight stay in Quito. Breakfast at the hotel. Meet with a local guide who will take you on a fascinating guided tour of some most emblematic sights of Quito. Explore the Historic Center, declared a World Heritage Site for its great beauty. In the afternoon, head to the impressive Middle of the World monument, which marks the Equatorial Line. Visit the museum here to learn about its significance. Overnight stay in Quito. Breakfast at the hotel. Today enjoy an excursion to Otavalo, in the middle of the Andean highlands. 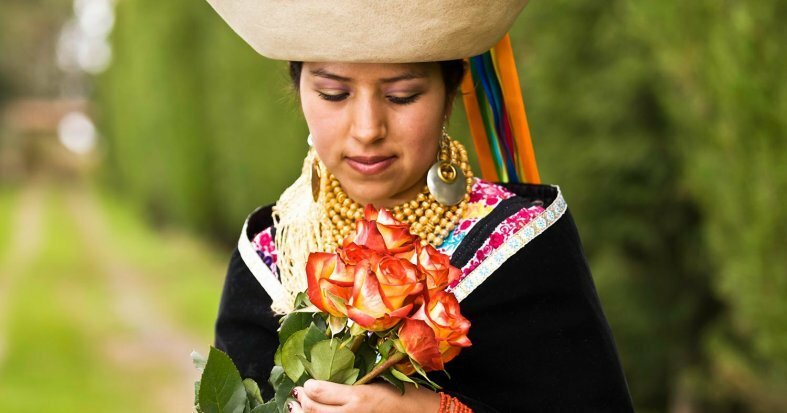 Enjoy the true beauty of Otavalo seen in its people, the indigenous Otavaleños, and their customs. Visit Otavalo Market, famous throughout South America for being one of the largest indigenous markets, where a number of merchants gather to sell their products, many of them made by hand. Take some time to explore Otavalo on your own. In the afternoon, visit some of the local communities such as the Peguche & Cotacachi, before returning to Quito. Overnight stay in Quito. Breakfast at the hotel. Today depart from the Ecuadorian highlands down to the jungle in the east of the country. In Papallacta stop to see the famous hot springs. Afterward, continue to the areas on the edge of the Amazon. Take a canoe ride along the river, towards the lodge in the heart of the jungle. Arrive in time for dinner and enjoy a night-walk to admire the nocturnal wildlife. Overnight in Tena. Seize the day and awake early for a short canoe ride upriver to visit the Parrot Saladero, a unique place where parrots and parakeets gather in order to obtain the minerals that help them to digest the fruits or seeds they eat. Hundreds of parrots descend to the clay wall to eat the mineral-rich soil. Return to the lodge for breakfast before heading out for a nature walk through the rainforest. In the afternoon, after lunch, visit an Amazonian Kichwa community in La Selva to learn about their way of life and the interaction they have with the forest. Try a traditional fermented cassava drink and some of their traditional dishes. The visit ends with a traditional dance performed by the children of the community. Return to the lodge for dinner and an overnight stay. After breakfast at the lodge, say goodbye to the jungle and returned by canoe to the road. Arrive in Puyo where you can visit the Yana Cocha rescue center for Amazonian animals. Continue towards Baños, and stop at the wonderful Pailón del Diablo waterfall, considered one of the 10 most beautiful cascades in the world. 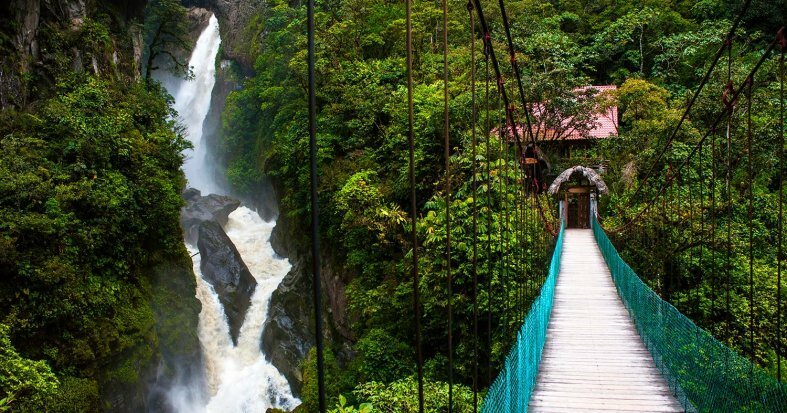 Arrive in Baños a subtropical area close to the Amazon basin, known for its beautiful hot springs. Transfer for the hotel and overnight stay in Baños. Breakfast at the hotel. Spend the day at your leisure, relaxing in the mineral-rich hot springs, discovering the local culture or shopping for souvenirs in the city center. Overnight stay in Baños. Breakfast at the hotel. 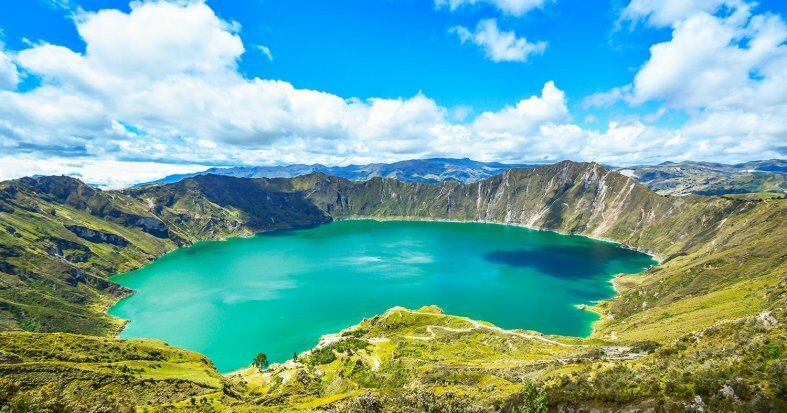 Today, set off for the Quilotoa Lagoon, a wonderful crater lagoon with water that changes color according to the sun's rays. Admire the beauty of this natural wonder before visiting Tigua, a group of communities famous for their paintings. Afterward, continue along the volcano route northwards in the direction of Lasso. Arrive, check-in to the hotel and overnight stay in Lasso. Breakfast at the hotel. 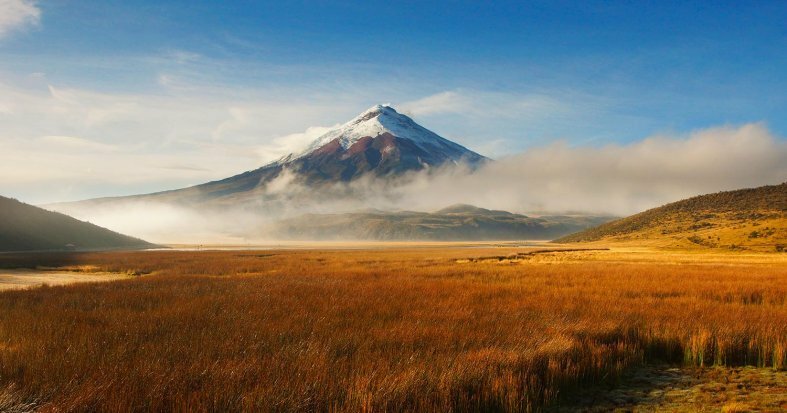 In the morning visit Cotopaxi National Park, home to the majestic Cotopaxi Volcano with its perfect cone shape. Take in the phenomenal landscapes before heading back towards the capital city. Arrive in Quito, transfer to the hotel and overnight stay. Breakfast at the hotel. Transfer to the airport for a flight to Baltra, in the wonderful Galapagos Islands. From Baltra, transfer to the island of Santa Cruz by crossing the Itabaca channel on a ferry. Stop in the highlands of Santa Cruz, a lush, green natural habitat of the famous Galápagos giant tortoises. Visit a private ranch to enjoy a traditional lunch. After lunch, take a tour of the area and walk among the trees and look for the giant tortoises that prefer to stay near the small lagoons. Transfer to your hotel in Santa Cruz and spend the rest of the day at your leisure. Overnight stay in Santa Cruz. Breakfast at the hotel. Start the morning with a tour of Puerto Ayora Bay and begin to discover the abundance of wildlife. You may even be lucky enough to sight sea turtles. Spend the afternoon at your leisure, exploring as you wish. Overnight stay in Santa Cruz. Breakfast at the hotel. Spend the day at your leisure, enjoying the beautiful beaches or the wonderful wildlife. We recommend an optional excursion to an uninhabited island. * Overnight stay in Santa Cruz. 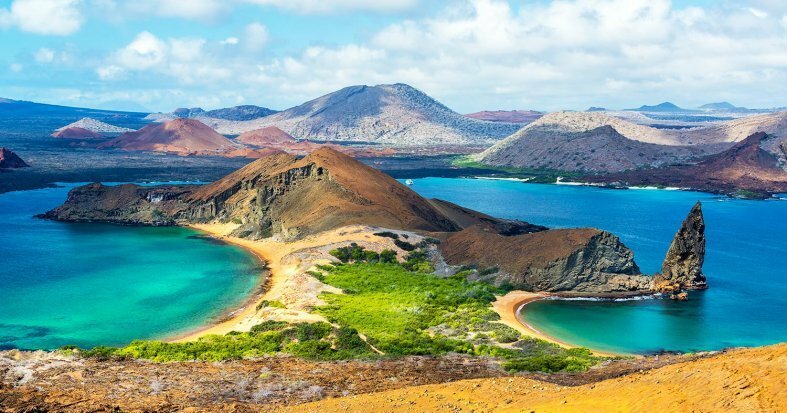 *Optional Uninhabited Island Excursion: Travel by boat to an uninhabited island in the Galapagos archipelago, for the best opportunity to admire rare and beautiful wildlife. Includes lunch and snorkeling equipment. Price per person: $275. Breakfast at the hotel. 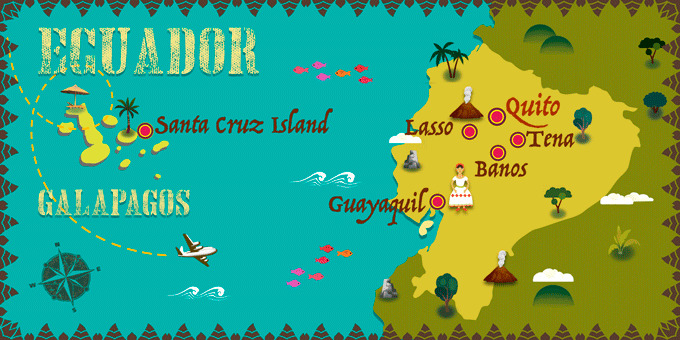 Today, explore the island of Santa Cruz with a knowledgeable Galapagueno guide. 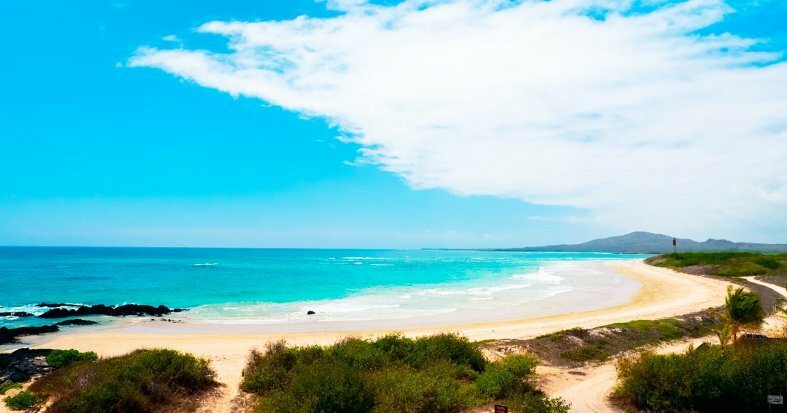 Enjoy a gentle walk to the stunning Tortuga Beach to watch the unbeatable landscape before heading to Charles Darwin Research Station, where your guide can share with you the most fascinating knowledge about the flora and fauna of the Galapagos Islands. Return to the hotel. Overnight stay in Santa Cruz. Breakfast at the hotel. Head back to the mainland, with a flight from Baltra. Arrive in Guayaquil, and transfer to your hotel in the city center. 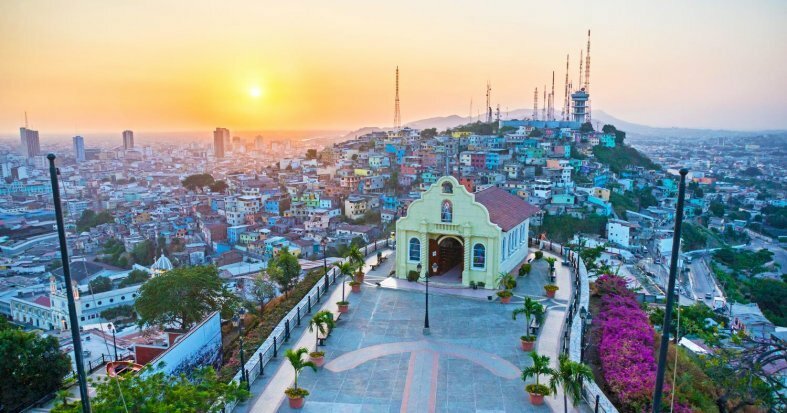 Guayaquil is the largest city in Ecuador and is located on the coast. Depending on your arrival time, spend the rest of the day at your leisure. Overnight stay in Guayaquil. Breakfast at the hotel. At the indicated time, transfer to the airport for a return flight back to the U.S. Arrive in the U.S. and end your trip. Consult your doctor for advice on suggested vaccinations and to discuss effects of altitude. Galapagos transit control card (TCC) is mandatory and is checked at the airport in both Quito and Guayaquil before travel to the Galapagos Islands. Cost US$20 per person (subject to change) and made by cash payment. At the airport, Galapagos passengers must present their transit control card (TCC) with their passport and pay the entrance fee to the Galapagos National Park. Cost: US$100 per person. * Documentation of the internal flights will be will be delivered at your destination. It is essential to fill in the passport information correctly for each passenger in the given boxes at the end of the reservations process. Quito: Mama Cuchara, de la Ronda or Patio Andaluz. Baños: Hotel Samari or Luna Runtun. Santa Cruz: Ikala or Cucuve Suites. 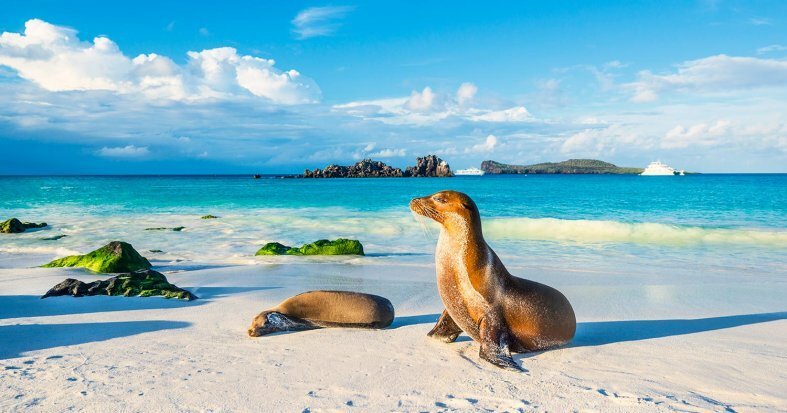 *Optional Uninhabited Island Excursion: Travel by boat to an uninhabited island in the Galapagos archipelago, for the best opportunity to admire rare and beautiful wildlife. Includes lunch and snorkeling equipment. Price per person:$275.